Alright, it’s time to start dealing with more difficult repairs. In my live workshops I always started by reviewing the various types of book bindings and the names of the many parts that make up books to be sure everyone understood what we were dealing with. Even in a blog post, I think a bit of book learnin’ still makes sense. 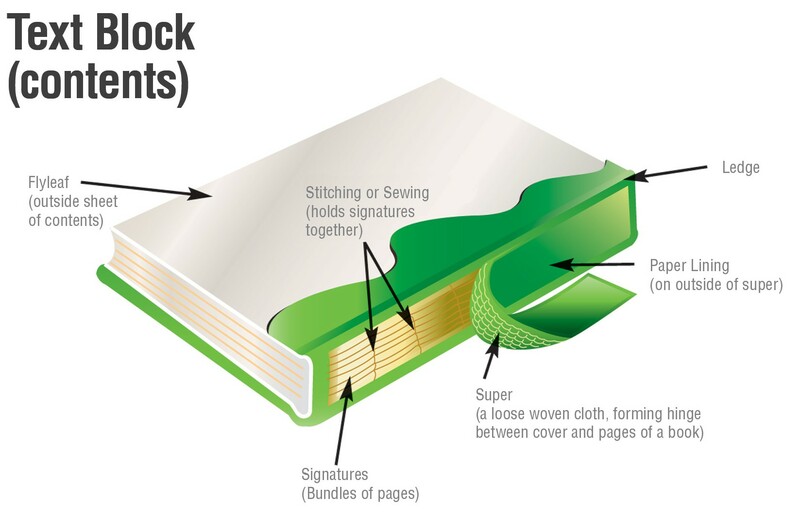 While you will encounter many methods of binding, the two most common types of modern books are hard cover and paperback. Hard cover books have rigid covers and are stitched into the spine. Looking at the top of the spine, the book consists of a number of signatures (groupings of pages) bound together. When the book is opened in the middle of a signature, the binding threads are visible. The signatures are sewn together at the spine to form a text block. In the past several years it has become common to use an adhesive to assemble the signatures rather than sewing them. 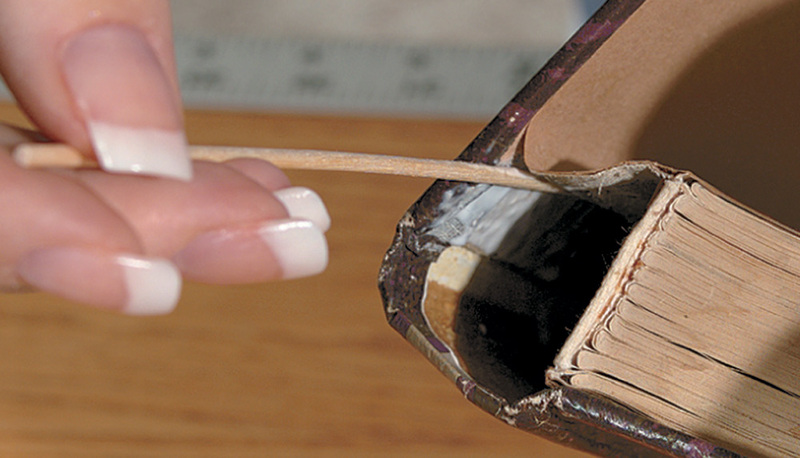 Glued books appear similar to those with sewn bindings but are usually not as durable. You will generally use the same materials and techniques for in-house repairs to both sewn and glued hard cover books. A second common method for assembling hard cover books is referred to as “Perfect binding.” In this system, each page is a separate sheet and all are glued together at the spine. Individual signatures are not seen if the book is viewed at the top of the spine. 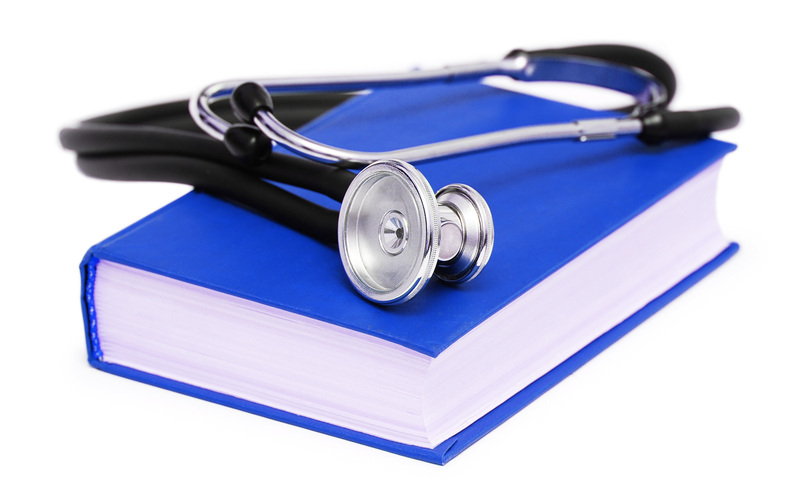 In general Perfect bound books are not as durable as books assembled using either sewn or glued signatures. In mass market paperbacks, each page is an individual sheet and is glued into the paper cover at the spine. Since they are assembled using hot glues which will dry and become brittle, paperback books will lose pages or come apart completely over time. Reassembling them with a good liquid plastic adhesive such as Norbond™ will prolong the life of your paperbacks considerably. 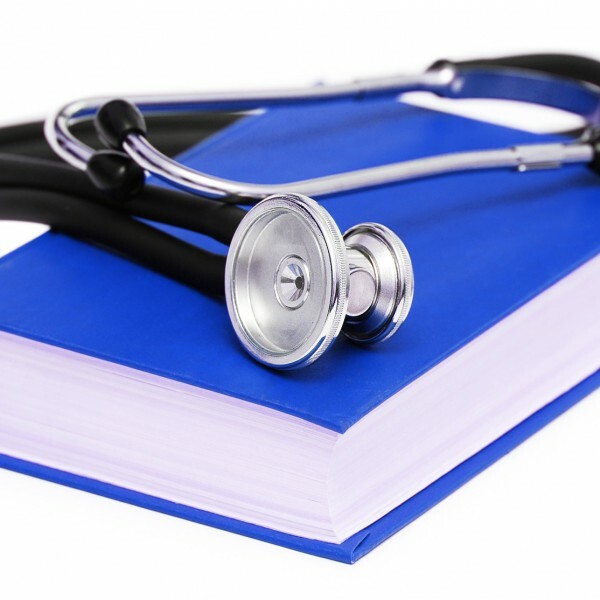 Notice in the illustration on the far left that the arrow pointing to the top area of the book is labeled “Tube.” The tube is the gap in the spine area between the cover and the text block of most hardbound books. It’s what allows you to open a book without placing strain on the binding. 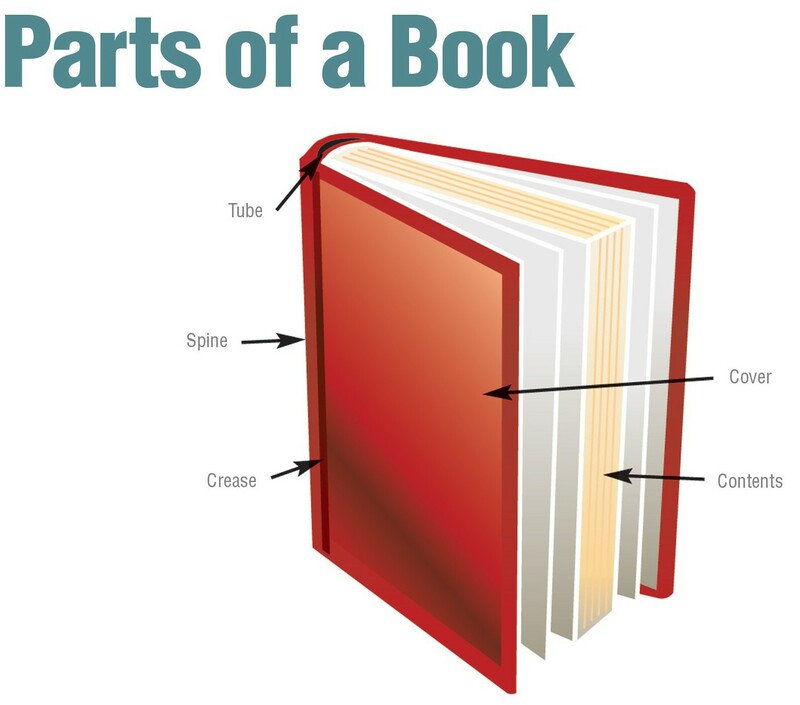 If the book was originally assembled with a tube, it’s imperative that you DO NOT do anything during repairs that damages the tube or causes it to stick together. All that said, many poorly-bound books are not assembled with a tube in the first place and the text block will often tear away from the cover in normal use. Sadly, this means you’ll be making a lot of repairs because of this deficiency. In books that are sewn together and in many that are glued, pages are gathered into groups called signatures. Multiple signatures are then sewn or glued together to form the text block. The super is what holds the text block and cover together. It is usually a cheesecloth-like fabric but is often made of paper in cheaply-made books. The text block is glued to the super and the super is wider than the text block. The “wings” on either side are glued to the inside of the cover. This lining is applied to books with a cloth super so that the adhesive used to glue the super to the text block does not stick the tube closed. The hinges are located where the rigid front and back cover boards meet the spine of the cover. Since the hinges must be flexible in order for the book to open, they are usually not well reinforced and are the weakest area of a book’s binding. In its early stages, a loose hinge will seem like a minor problem that can be ignored. This is always a bad assumption as a loose hinge is an early warning sign of serious problems that can develop in the near future. As shown in the first illustration below, a loose hinge is present as the text block begins to tear away from the inside of the cover. If corrected early, this is a simple repair. If allowed to continue, much more extensive repairs will be needed. A loose hinge is the first sign of trouble for book binding. To repair a loose hinge simply use a mending stick to apply Norbond Liquid Plastic Adhesive to the area where the side wing of the super and the end papers are tearing away from the cover boards. Take care not to allow the adhesive to get into the tube as this will cause it to stick closed and place strain on the binding when the book is opened. When you have an even coat of adhesive over the area that has torn loose, smooth it with a plastic folder and simply close the book. Next, place a light weight on the cover and let the repair dry overnight. This repair is shown in step-by-step detail in the Book Repair Video below. If a loose hinge has gone untreated for some time, you may notice that the end papers over the super in the hinge are tearing or that the super itself is starting to tear. If so, this tearing can usually be repaired by using Demco Paper Hinge Tape or Adhesive-backed Binder Tape which is attached over the damaged hinge using Norbond. Demco also has 3 types of pressure-sensitive hinge tapes which eliminate the need to give liquid adhesive time to dry. These tapes are: Easy Bind Tyvek Hinge Tape, Vinyl Hinge Tape and Tyvek Hinge Tape with Liner. When time allows though, I prefer working with the liquid adhesive as I am able to slip the tape exactly where I want it. This repair is also shown in the Book Repair Video. 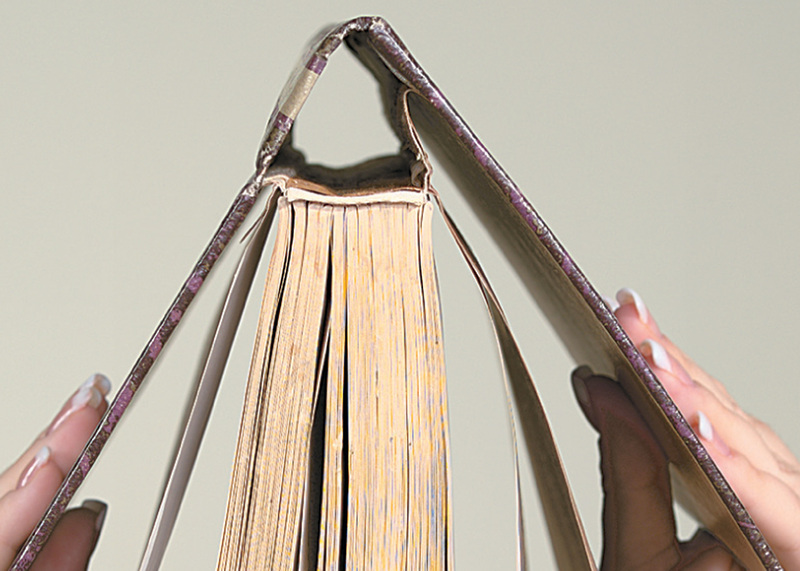 Our next post will detail how to reassemble hardbound books that have come apart. As always, feel free to use the link below to post any comments or questions and I’ll respond. I may use your input in future posts! Throughout this series, we’ll be referring to two resources from Demco. The pamphlet Demco Collection Care Guide and the Demco Collection Care DVD are both available to help you through your book repair challenges. John Ison retired in 2011 after working with Demco for more than 25 years, most recently as the Director of Library Relations. During that time he conducted over 300 book repair workshops, wrote the Demco Collection Care Guide, and wrote and produced the Demco Collection Care DVD. Previous Children’s Activity Calendar: September 2015	Next 1000 Books Before Kindergarten: A Passive Program with Enormous Benefits! Thankyou for making these articles. I work in a Elementary school and we started a Book Doctors club. We have been teaching children how to repair books. Your blogs will come in handy. Interesting idea. I hope the blog is helping. I found this old book and I would really like to repair it myself, but the cover is missing completely also it was a hard cover. Any suggestions would be greatly appreciated. Repair is impossible without the original cover, but you could rebuild the book to protect the contents and make it serviceable. It would be relatively simple to fashion a paperback-type cover by trimming a suitable material to fit, folding it to wrap the book, and attaching it to the spine of the book using Norbond adhesive. Building a replacement hard cover would involve considerable effort in gathering suitable cover boards, material to join those boards along the spine, and additional material to attach to the spine of the text block and inside of the covers. 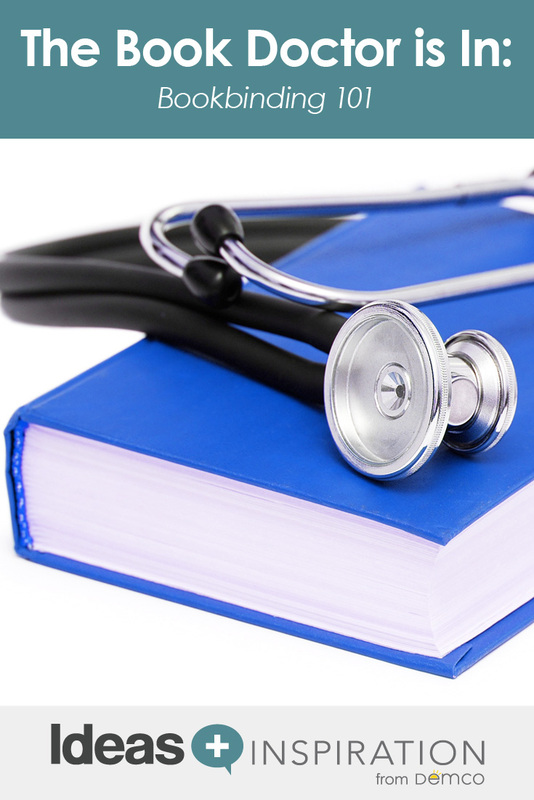 The illustration of the parts of a hardbound book in this post provides a good graphic of what you would need to do. However, this may require more time and effort than you are willing to put into a “found” book. I bought two wonder weeks journals and they are hardbound with a notebook style binding underneath. The ring is coming separate from the cover on both journals and as I just spent forty dollars on keepsake books for my children I would like to know how to fix it. Please help!!! These are usually spiral–or wire–bound. I have never found an effective way to repair this type of binding once the cover comes loose. If you could send a photo of the damage I might be able to offer some suggestions to stop further damage. Hi, what is a good way to repair books with a plasticy/rubber-like super when the signatures start pulling away from it? Thanks! It might be helpful to also review “Rebuilding Broken Books-Part 1” for ideas on how to prepare the book for the repair. I’d like to expand a bit on Step 1 in Part 2. We say there to remove all loose material but with your book, since the rubber-like adhesive is likely still stuck to the signatures it is important to thoroughly remove it before applying the new adhesive. It is probably best to scrape the old adhesive off with a knife. There are several steps involved but you’ll find that the repair is fairly simple and will return your book to good condition.